If you also only want to see certain employees it will give you the desired view. Filters are always on the left of the Agenda. 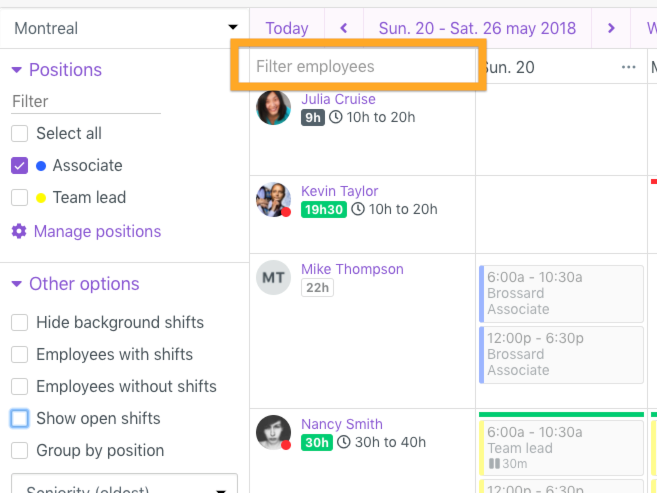 If your working screen is under 16 inches, you will find the filters in the purple funnel on the top left of the agenda (see blue square). The first filter you can use is the Position filter (Blue arrow). 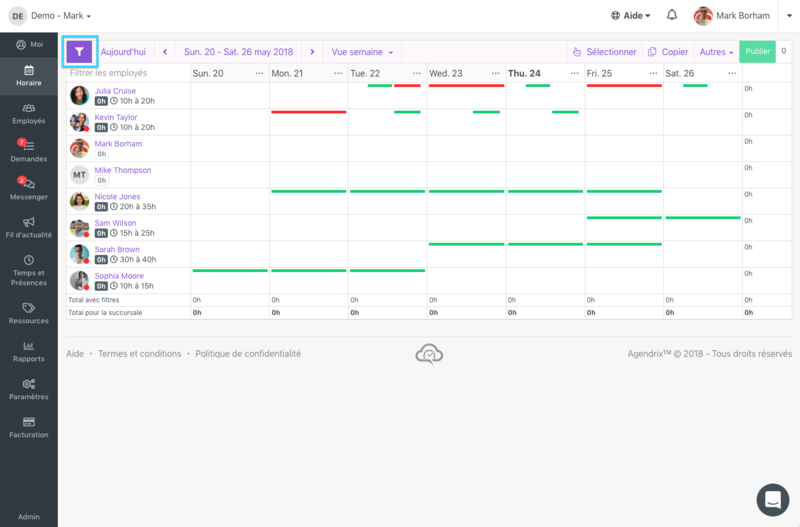 Each position selected will show up in the scheduler, the others will be left out or their shift will be pale (Orange arrow). More on managing positions here. 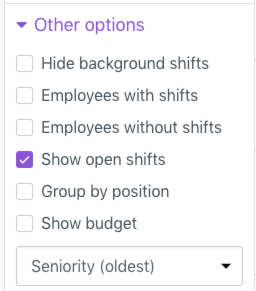 Under the "Other options" section you will find additional filters. Show Budget : Show our budget tool.